With recent food safety crises such as the pre-Thanksgiving U.S. recall on romaine lettuce due to an E. coli outbreak, I have heard people calling for increased traceability of food and a greater ability to track products back to their origins. 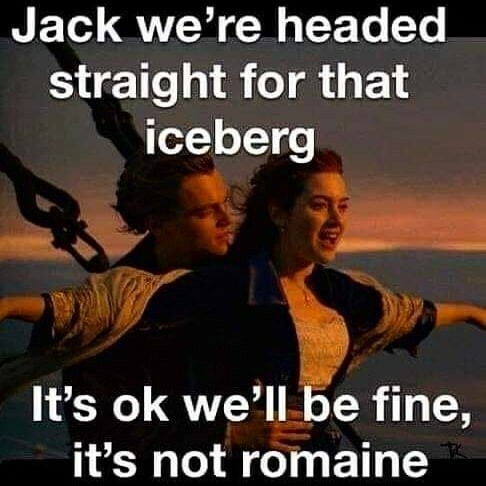 Thankfully, a few days ago the Centers for Disease Control and Prevention (CDC) narrowed the lettuce warning to romaine grown in certain California regions only. However, they are still warning us: If you do not know where the romaine is from, do not eat it. So the question becomes, what is the best resolution to this crisis and whatever food safety crisis is looming next? How can we ensure better visibility and tracking for critical products like our food supply? How can we as consumers be sure we know where our food is coming from? Certainly labels that show the harvest date and region are helpful, but when the lettuce we buy isn’t in a bag that can be labelled—typical for heads of various types of lettuce—the burden is on consumers to be aware and find the origin information at checkout when they pay for their purchase. To find a better way to address these challenges, pioneering organizations are looking at blockchain as a solution. For example, the IBM Food Trust™ uses blockchain technology to drive visibility and accountability in the food supply chain. It is a unique network that connects growers, processors, distributors, and retailers through a permissioned, permanent, and shared record of food system data. It’s mind-boggling to think about how much romaine lettuce was recently thrown away that didn’t need to be because of where it was grown. Blockchain-enabled networks like the IBM Food Trust can help provide faster responses to recalls and reduce waste. To examine applications of blockchain, APQC has recorded a webinar entitled, “Blockchain: Assessing the Realities and Opportunities of Its Implementation in Supply Chains ” featuring Mark Toohey, co-founder of TBSx3. You can listen to the recording or view the slides to find out more about critical applications for this developing technology and how it can solve problems like counterfeit pharmaceuticals as well as dealing with food safety concerns. Also, to continue discussions on blockchain, artificial intelligence, and the Internet of Everything (IoE), I will be at the XChain2: Blockchain for Supply Chain and Logistics Forum in Houston next week (December 3 – 4). APQC is pleased to be a second-time association partner for this two-day event, and if you haven’t signed up yet, use the code APQC to save 20 percent when you register. I’m personally excited to join in the conversations as we examine the digital future of supply chains and how technologies like blockchain can enable a safer food supply. Lettuce hope this is the last massive romaine recall! As always, please drop me a note to let me know what’s on your mind about current challenges and the future of supply chain by commenting below, via Twitter, LinkedIn, or email.